The bees have been very busy in the yard. 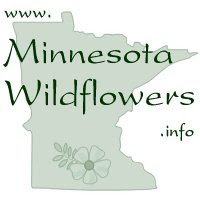 The Wild Geranium (Geranium maculatum) is one of the favorites at the moment. 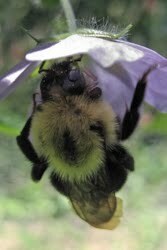 This bumble bee was weighing down the flower so much it nearly drooped to the ground. 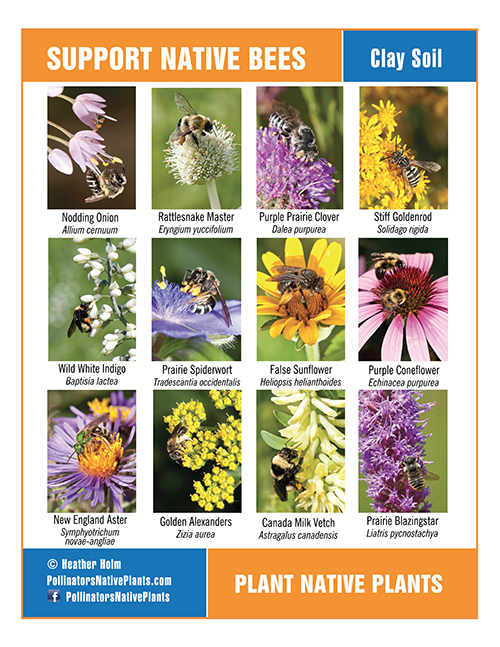 Many of our native bees are solitary meaning they do not nest in colonies like honey bees. For habitat, solitary bees require cavities (like hollow twigs), plant material left on the ground and mud for nest building. 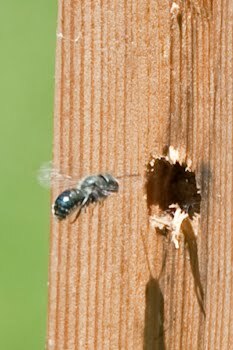 We have made nesting boards for solitary bees the last couple of years and hung them in the yard. 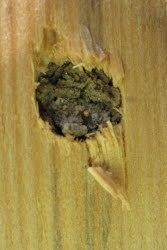 This year, we have had really good success with this because we made the holes deeper (drilling them on the end of a 2x4" board) and also hung the boards in sunnier places. This photo is a close up of a cavity mudded over. 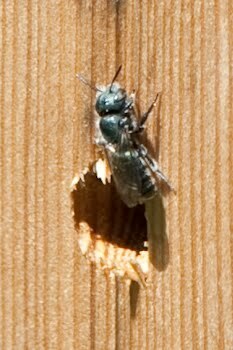 Most of the mudded over cavities have been by the Orchard Mason Bee (Osmia lignaria), a fairly small sized blue colored bee. 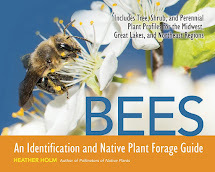 The female collects pollen and deposits it in the end of the cavity. Once there's enough food source for the larvae, she then lays and egg on top and muds in the cavity opening.